Marion von Osten The idea behind this talk, and the Architectures of Decolonization project in general, is to turn the perspective away from other territories where conflicts and concepts appear in the era of decolonization in order to question if the decline of the Empires and the anti-colonial movement changed intellectual as well as aesthetic practices in Europe: so how did they radicalize or, if they didn’t, why not? 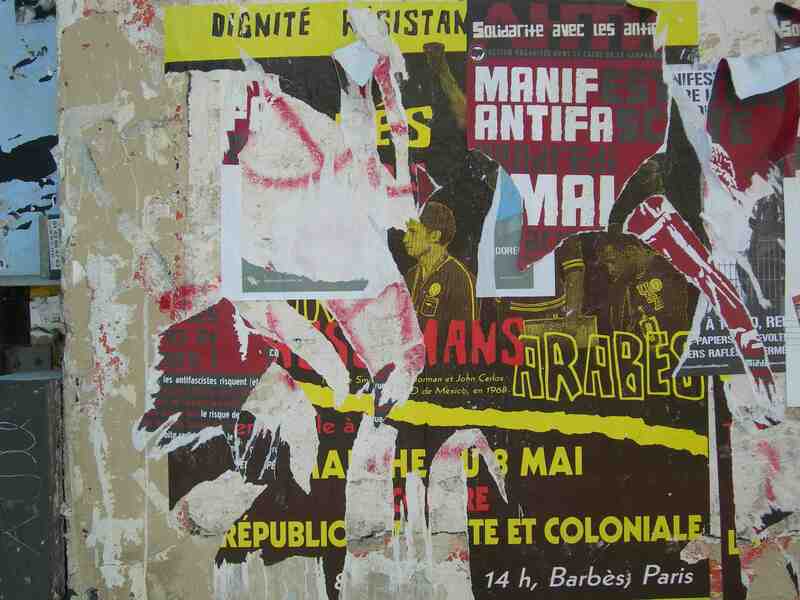 To pose the question of decoloniality in Europe, and specifically in the territory of Paris, because the city can be understood as a contact zone where very different people crossed paths, where anti-colonial actors met with the Pan-african and Tricontinentale movements as well as with the actors of the civil rights and social movements. Decoloniality did not happen somewhere else, it happened here, in Europe, in France, because it was the "Empire". You have worked a lot on these kinds of questions. Todd Shepard When I was doing my research for the book I made a choice that was explicitly disciplinary, that embraced historians’ presumptions about primary sources and archives. I did so in part to show, expose and highlight the limits of these disciplinary certainties. Full transparency is not possible; one lens can’t give us access to everything. This "archival" approach can, however, give you access to certain points that current discussions totally obfuscate, notably the need to take seriously that Algeria was part of France. My research shows that this was "true" in certain important ways: juridically and institutionally, which is to say in the practice of civil servants; in the ways the laws functioned; in claims about nationality, etc. "Algeria is France" is something that we know to be false in some kind of real sense. But then, if you seriously examine institutions, the civil service, bureaucracy, and laws, you see how practices guided by this "false" idea did affect people, given the legal presumption that they were French; and you can also see how, with independence, these acts and effects were erased. A lot of people today prefer to just say "well, it’s false; Algeria was not France; we shouldn’t ever say that that was the case". MVO So there is this kind of revision, that Algeria could not have been part of "Greater France"? TS Yes. So, for example… take this book called Chère Algérie (that claims that Algeria was incredibly expensive for France). It just leaves out the fact that Algeria was legally part of France and that France in fact spent much less money on Algeria per capita than any other part of France; but the author insists that it’s out of respect for Algerian sensibilities that he won’t go into the complicated legal relationship, i.e., Algeria was part of France. So there are lots of historical anachronisms that are used and do ideological work that I find reactionary. But then, at the same time, even more interestingly, scholars are committed to ignoring the implications of "Algeria was France"... In ethnography and anthropology, for example, there was this massive participation of the new wave of scholars, the anti-evolutionist, anti-racist, Boas-ian, Mauss-ian anthropologists in the final effort to keep Algeria French; and this is erased in current recountings of the discipline. Yet, the fact is that, well, they produced Abdelmalek Sayad, they produced Bourdieu, and there were really interesting people like Germaine Tillion involved. This erasure of all these efforts to make Algeria really French, in republican terms, allows people today to escape the implications of this history for France and for republican principles more broadly¹. MVO So if I understand correctly French intellectuals couldn’t accept, on the one hand, the war against Algerians, but in the meantime they also couldn’t accept its independence and the loss of Greater France? TS Yes, in the current way of telling the history of France in Algeria, it wasn’t a contradictory, problematic thing, it was simply: "We were wrong". This is the deviation, or detour school of French colonial history; Algeria and colonial empire emerge as this anti-republican mistake, which ignores the fact that every republic had an empire; that the vast majority of republicans were for the empire; that the vast majority of anticolonialists weren’t republicans‒indeed, in the 19th and early 20th century, many of them were reactionaries‒and yet the current consensus is that French rule of Algeria was simply not republican. MVO And it is quite interesting to see how this amnesia has other implications. TS We see this in other fields, like urbanism, anthropology, ethnology, which are invested in the detour story, that “we were wrong” and that it was never France, it was never really republican; there is also the embrace of a kind of "trauma theory" linked to the types of violence that accompanied decolonization and particularly the Algerian revolution. In this view, it is trauma alone that impedes people from talking seriously about what happened between France and Algeria. Yet there was also active obfuscation. I want to insist that it’s not just the trauma of the violence and the shock of systematic torture and of hundreds of thousands of people killed that is absolutely central to the story: there is also this other active work of saying "Algeria was never France". So let’s take Germaine Tillion: she was a critical woman, she had points of view that differed from most French officials, she was in touch with the FLN, but she is also in this complicated story where she deeply believed that they’d be better off staying French. How do we then tell all those stories together? Doing a psychoanalytical study on trauma and a whole range of meditations on how trauma and violence are central to the way this story has been distorted or sidelined into certain types of narratives is one approach. I think it is also interesting to think about how all of the institutional work, the diverse sets of disciplinary practices, sets of people, sets of discussions, were pushed out of the story because their involvement was too troubling. TS In response to the revolution, officials came up with this practice of establishing quotas for the number of Algerians to be hired for French civil service positions, as part of a larger effort to draw from international social science discussions to address the question of racism; there was official recognition that French racism toward Algerians existed. And they come up with the idea that they have to measure how various places‒sanatoriums, hospitals, housing centers, industries (state owned or even private)‒already acted as if they had a quota in mind, a rough estimate of the percentage of Algerians that each would accept. They investigate and people actually respond to their inquiries, and they give the government investigators their numbers; this helps the government come up with a policy, to propose explicit quotas in the name of social promotion to overcome discrimination. Given the fact that quotas already exist de facto and given the fact that "X number of Algerians work here" and that there are no Algerians in positions of authority, all of this is seen as proof that there is discrimination, because they can measure this discrimination. They are not looking for the intention to discriminate; they are trying to measure if discrimination exists by looking at the effects of discrimination. There is a whole interplay of numbers, of fixed numbers‒what are the fixed numbers that organizations, industries, hospitals, are actually working on now‒and then how can the government propose fixed numbers in response that would address the effects of this discrimination. In the early 70s, which is the period I am working on now, you get the same discussion about the "seuil de tolérance" and "quotas". But the implications are the opposite. The idea that there was a "seuil de tolérance" among French people toward outsiders generates all these internal governmental debates, with claims that it was 20% for schools, 30% for hospitals, less for housing. The "seuil de tolérance" was the main basis of government policies in the early 70s about how to deal with and help overcome the problem of racism; it was premised on the idea that racist reactions result from the number of "foreign" people in a given place. Instead of measuring the effects of discrimination on Algerians, they measure the number of "outsiders" that produce discriminatory effects. 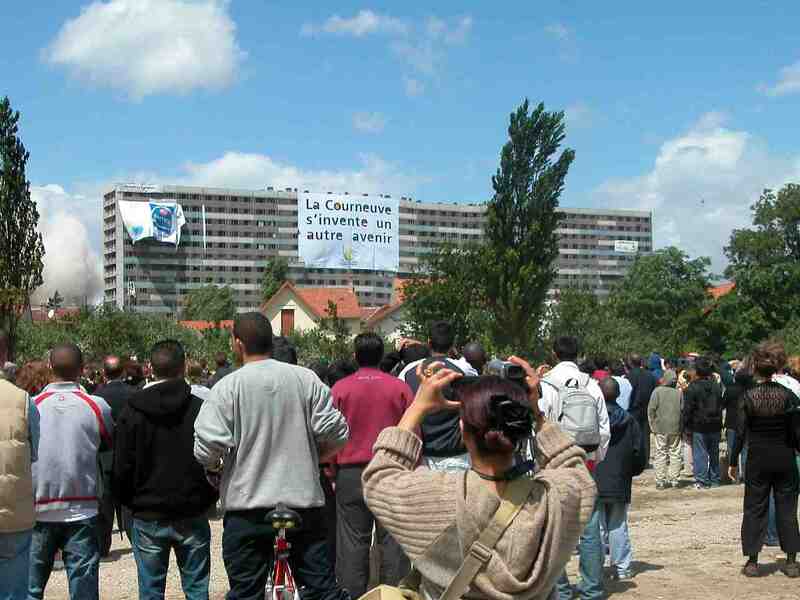 Mihaela Gherghescu It’s very interesting that these issues are magnified around the whole debate on housing and hygienic discourse; and this is starting with De Gaulle’s 1958 discourse on clean spaces on the periphery of Paris. TS It’s amazing to see what officials are saying about [Maghrebin] parenting and noise in the late 50s, and you can also see it in 1961-1962, which breaks with their initial effort to hold onto the idea that there was French racism. 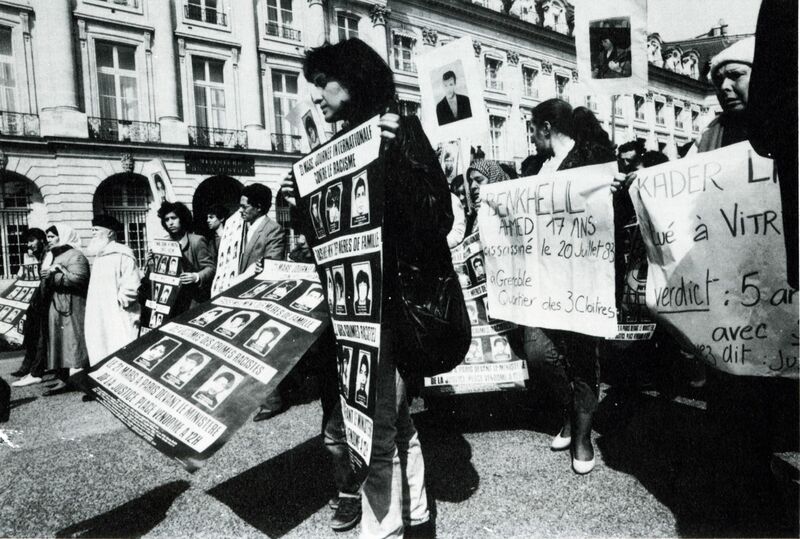 What returns is reaffirmation of the assimilation model of Algerian resistance, which presumes that it’s the actions, the existence of too many Algerians, that provoke problems. In the late 60s and early 70s, it just explodes. And so officials talk endlessly about how housing and public spaces are used or misused. MVO In another case I found a similar turn: it is a case where specific housing projects, the so-called modernist patio houses, traveled from Morocco to Israel. 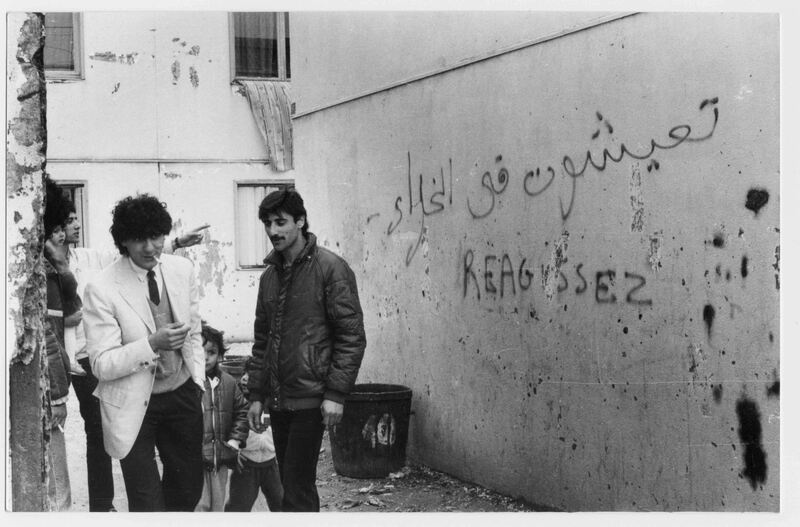 Concurrently with anti-colonial uprisings in Morocco there was a rise in anti-Semitism, in part a reaction to the segregation that was imposed by the colonial rulers. Jews left Morocco and they were placed in these patio houses, which the French had developed in Morocco, which are now in use in the so-called development towns or desert cities, in Israel. In Israel they are suddenly addressed as misbehaving, uneducated, etc. The Moroccan Jews are turned into an "Arab" Jew. This Arabization seems to happen just at the moment of decolonization. It happens when countries detach, when people detach from the former ruler. And it’s not history; we really are in the middle of that new form of "ethnocracy". When the colonial subject cannot be governed anymore by the Empire, it seems that multicultural racism appears. TS Yes, that’s what also intrigues me about the post-1945 period, where we see everywhere commentators and officials affirming that states need to move beyond the nation, to federate, to think and organize in terms of larger political structures that will allow a more coherent and accurate grappling with that multiplicity of connections, and also with the economic need for larger spaces. This is seen as a way to overcome the ideological fallacies linked to the nation-state, which were exposed by how fascist states had acted, this extremely expansionist and violent nationalism that needs to be thought beyond. MVO If you go into the museum bookstores of the Institut du Monde Arabe or Quai Branly, you search for any kind of postcolonial studies and they might have something like three books… And the rest is on Exotism, Orientalism, and the Orientalism book section is actually growing. I was wondering what the position of the French intellectuals is in all this? TS I see the crisis. To understand it, we need a more accurate history of ideas about difference, notably since the 70s. We know that that’s when arguments about "the right to be different" emerge, what we’ve been calling the multicultural. Yet in those years you also have a parallel vision of multiple cultures that is directly linked to government policy: an embrace of multiculturalism so that immigrants remain ready "to go back to their culture". As part of an official effort to break from demographic ideas of immigration‒immigrants come to remain a part of France and become assimilated‒officials define multiculturalism so that immigrants will remember where they come from, so they’ll go back there. MVO Multiculturalism functions like an imaginary passport. TS Exactly. So this is quite distinct from most intellectual or far left critiques at the time, which celebrate the potentialities opened by difference, the way that thinking from a particular space or identity creates possibilities of thinking in revolutionary ways and in terms of larger systems, allowing people to make connections, coalition politics in a foucaultian-deleuzian sense. The 80s, notably the "Touche pas à mon pote" moment, sees this whole story of thinking multiplicity, to think the politics of particular situations, sidelined, in favor of celebrations. People are different, and this is good; what disappears is attention to why particular types of groups are denied opportunities in multiple ways. Retrospectively, official efforts in the 70s to link immigrants to "their" home cultures collapsed into radical efforts to think the politics of difference, as if these are the same thing; and they were not. Postcolonial theory is, in part, an effort to focus on disappointment, on how political hopes linked to anticolonialism faltered, how the amazing victories and promises of decolonization became an end point rather than a starting point. From this sense of disappointment, how do we interpret what happened differently, how do we think about complications, what impeded things from happening, what constrained victories or turned victories of forces of progress into defeats. These things are difficult to think about, so they tend to be ignored. MVO I still have one last question. The anticolonial movement was a transnational movement, maybe you could say a few words about the involved actors, movements and encounters? TS I’m intrigued, from an American point of view, by the historical success of anti-communism and McCarthyism in erasing connections between the US Black Freedom Movement with the Caribbean, with the Third World. Richard Wright is a kind of emblematic, axial figure of these erased connections. In the same period, the late 50s-60s, at the heart of the anticolonial surge, the GPRA [Gouvernement Provisoire de la République Algérienne] of the FLN is really conscious about the central role of making connections and working, not just with the Arab World, but with the United States, with European points of resistance. Their ambition is definitely transnational, to think beyond governments as well as working with governments. What I’m intrigued by is how this transnationalism, this way of making larger connections that involve networks of people thinking different sets of problems together, how this breaks down. MVO Thank you very much for this exciting conversation and all the insights. The image selection (portfolio beside) is proposed by writer, film director and producer Mogniss H. Abdallah, one of the founders of IM'media agency in 1983. IM'media is a "media agency for immigration and urban cultures", which aim is to document the immigration's struggles. Films: Minguettes 83: paix sociale ou pacification? (documentary, 26’, IM’média/CCI Beaubourg, 1983), Douce France, la saga du mouvement beur (documentary, 52’, M.Abdallah/K. Fero, IM’media/Migrant Media, 1992), La Ballade des sans-papiers (documentary, 87’, L’Yeux Ouverts/IM’média, 1996-97), J’y suis, j’y reste, j’y vote (documentary, 120’, IM’média/Zalea 2001). Mogniss H. Abdallah recently presented Douce France, la saga du mouvement beur together with Marion von Osten at Espace Khiasma (Les Lilas) on November 3, 2011, in the context of "Hantologie des colonies". * Todd Shepard is an associate Professor at the Johns Hopkins University, Baltimore (dept. of History). His work explores 20th-century France and the French Empire.